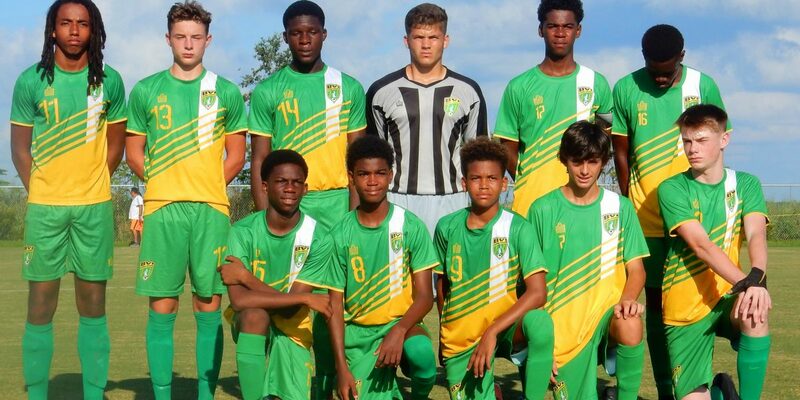 BVI Football Association » The U15 Boys team rounded out group play at the CONCACAF Championship on Wednesday 16th August, 2017 with an emphatic 8-2 win over Montserrat. The win gave the Boys an unbeaten record of played three, won three to top Group J in Division 3 and will now go onto to face French Guyana on Friday, in one of two Divisional Finals. The two Division 3 winners will then be promoted to Division 2 in the CONCACAF Rankings. 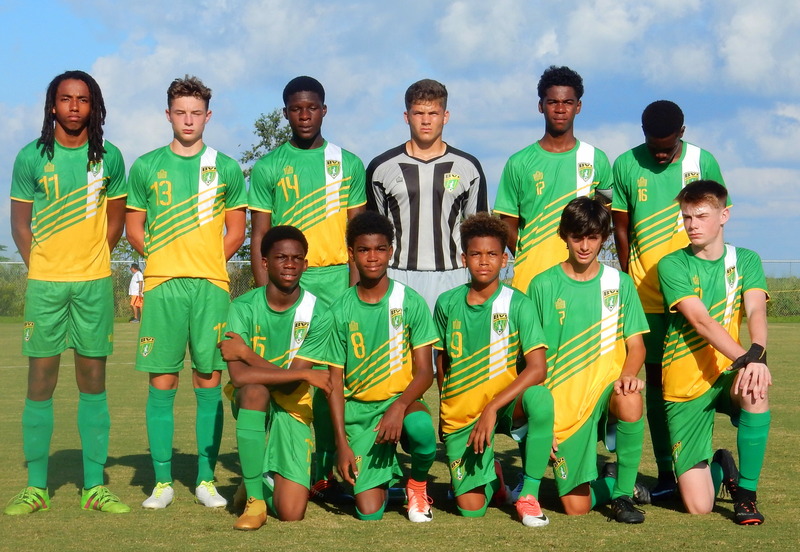 The team was back to almost full strength for the Montserrat game, apart from Declan Rose, who had to sit out following his Red Card against the Turks and Caicos. Bailey Rowe again led the front line with skill and an insatiable desire for goal, netting four times in a first half onslaught that also saw Tyler Forbes scoring twice and Luka Chalwell once. Coming out of the first half break leading 7-1, the Coach was able to rest players and protect those on yellow cards from possibly missing out on the final game. Marcus Butler added another goal though and the final score was 8-2. Keen was also keen to note that he had three assists in the victory against Montserrat and was quite happy with his “worldly pings”, which is smashing the ball as far as you can and hoping the forwards latch onto the ball and do something with it, like scoring goals.